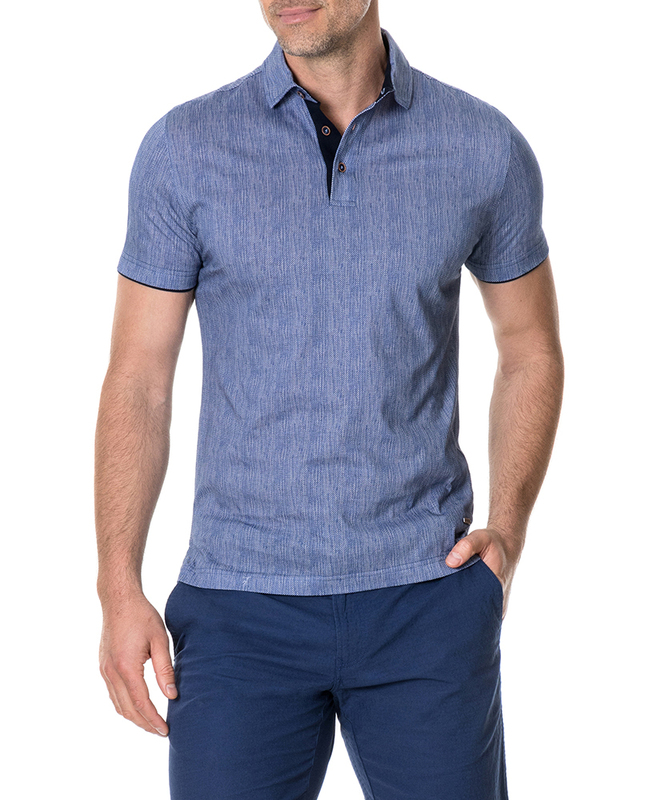 The lightweight jersey fabric of this polo is crafted from an ultra-smooth cotton and is patterned with a micro print. Contrasting interior placket and sleeve piphe sleeve cuff adds a sporty edge. Pre-washed for superior comfort and to prevent shrinkage, button-down collar and piping.